Chaver Beth Din. Rabbi Reiss is the Av Beth Din of the Chicago Rabbinical Council, a Rosh Yeshiva at RIETS, and Chaver Beth Din at the Beth Din of America. 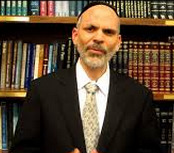 A Yadin Yadin musmach of RIETS and an attorney who was an associate for six years at the international law firm of Cleary, Gottlieb, Steen & Hamilton, Rabbi Reiss is a graduate of Yale Law School, where he served as senior editor of the Yale Law Journal. He was previously the Max and Marion Grill Dean of RIETS, and before that he served as Director of the Beth Din of America.